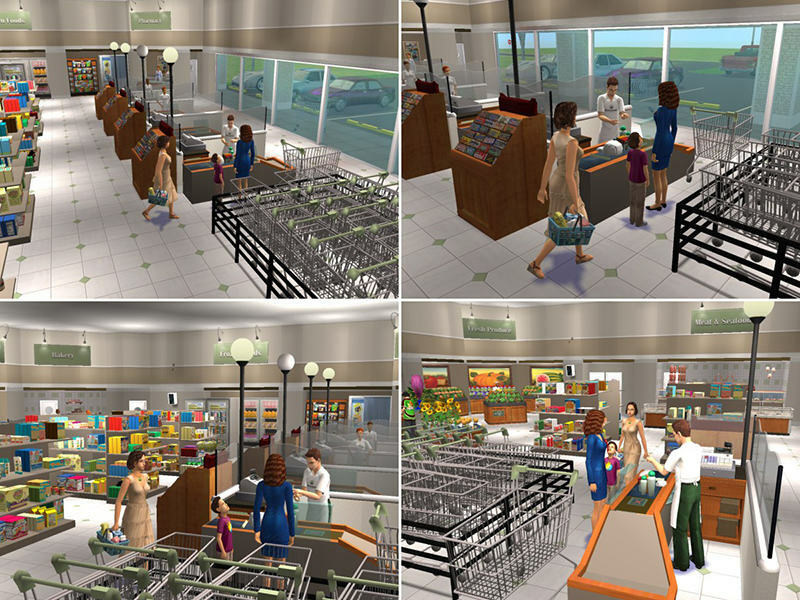 This supermarket features natural and organic products. 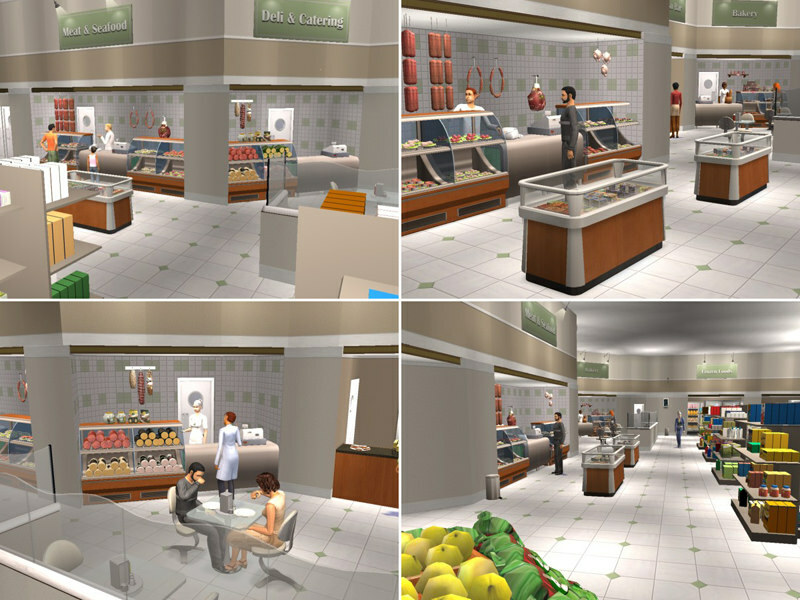 It has all the typical departments of a grocery such as a florist, produce, meat/seafood, deli, bakery, pharmacy, restrooms, plus it has an espresso bar with seating area. Upstairs has an employee locker room, break room and manager's office. 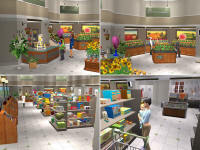 Numerous recolors have been done to give the store a unified look including 8 recolors of bienchen83's grocery shelves so there is no stocking of shelves necessary. 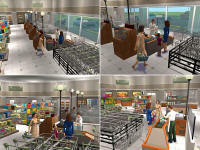 Products on the shelves are natural/organic brands as you would find in a health food store. Using an invisible cash register on an invisible counter along with bienchen83's checkout counter gives the impression the Sim goes through the checkout lane more realistically. 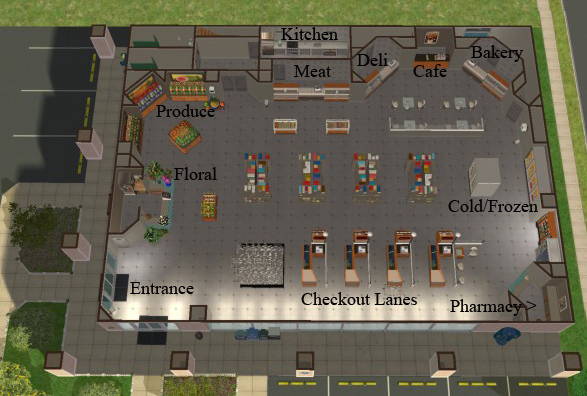 The only downside to an invisible cash register is that you cannot directly click on it when playing the lot as a business. 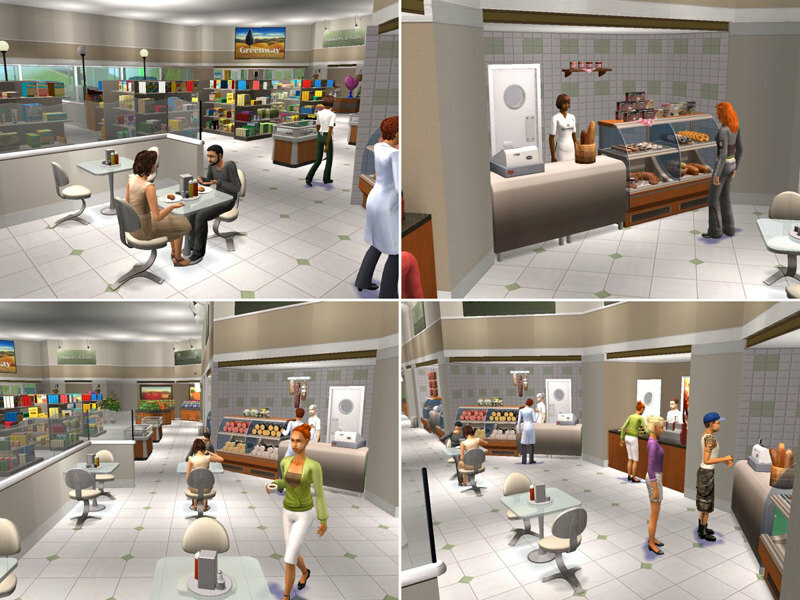 However, you can still assign an employee to work as a cashier and they will use it despite being invisible. If you need a proper register for the business owner, simply replace one of the decorative registers in the floral, meat or bakery departments. Also added are Greenway uniforms for teen/adult/elder and both genders. 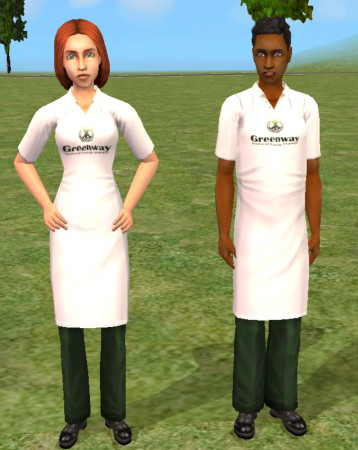 They are a recolor of the in-game apron uniform with white shirt, dark green pants and white apron with Greenway logo (Celtic Tree). The only thing NOT included is stocking of the meat department, deli and bakery counters. They have been left empty in case you wanted add your own foods or products. Items shown in the photos come from Retail Sims OFB Butcher Shop and mdhttr323's Antique Bakery Set.